We love making fun foods and sweet treats for the holidays! But I’ve also been trying to make some healthier food choices around our house! 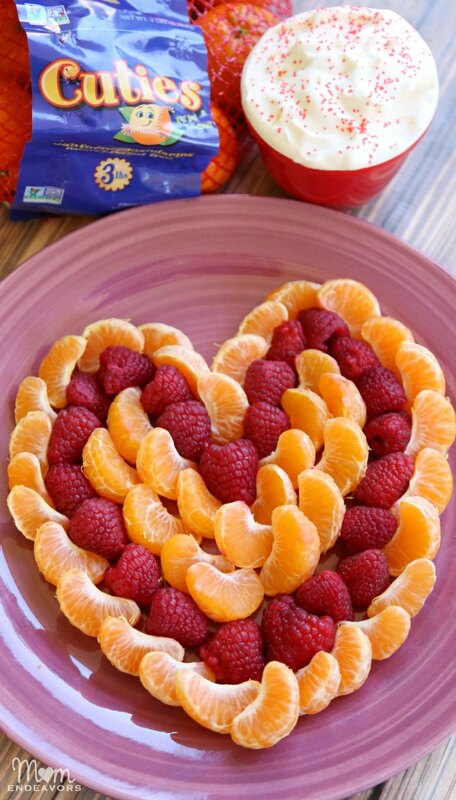 So, I’m thrilled to share our heart-shaped fruit platter with you as part of a deliciously sweet Valentine’s partnership with Cuties & Mighties Kiwi!! Isn’t that fruit tray beautiful?! It would be perfect for a Valentine’s Day breakfast, snack, or even dessert! With such a fun presentation, it’s very easy to swap traditional sugary sweet treats for fresh fruit on Valentine’s Day! And, I personally love that this spread goes beyond the rather typical strawberries for Valentine’s Day. The star of this platter is our absolute FAVORITE fruit this time of year – Cuties mandarins! 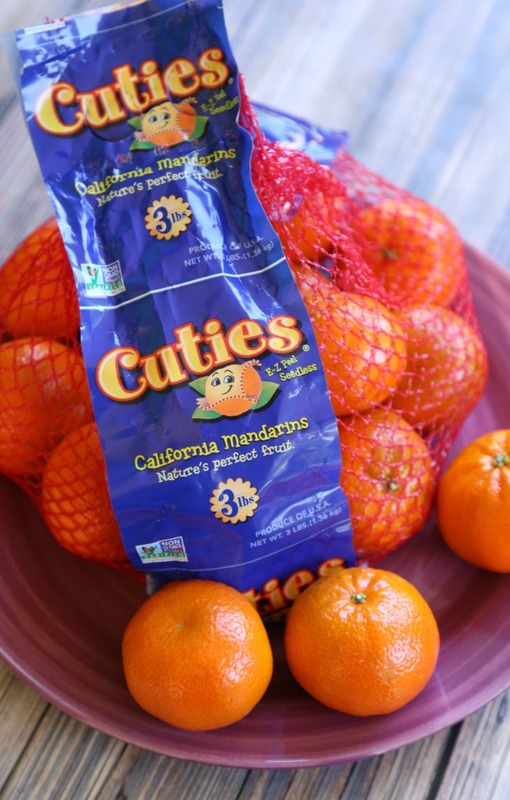 We are BIG fans of these easy-to-peel Cuties! They are a staple in our house throughout the entire winter (even with 3 orange trees in our own backyard)! My boys love these perfect little fruits and will literally pop them like…well, candy! I love that they’re such a great thing for them to eat! 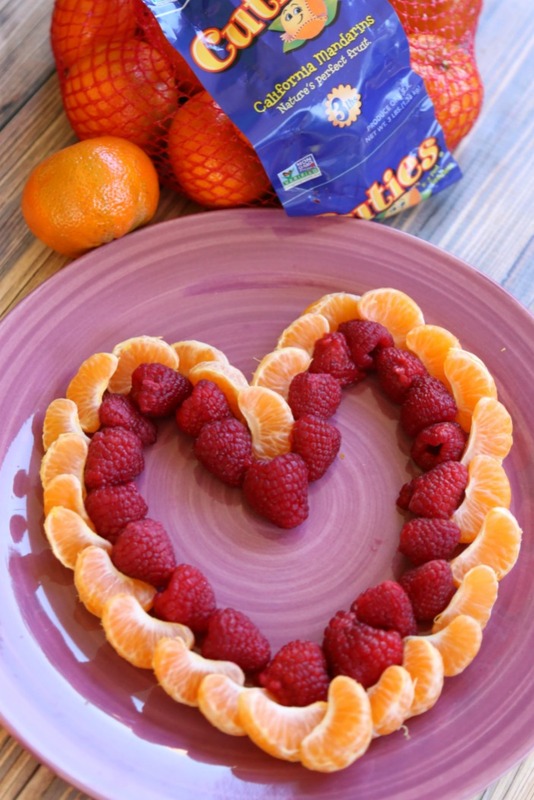 So, I decided the Cuties would be perfect to use in a fruit platter for Valentine’s Day! It’s SO easy to make! Just grab a large plate and start by peeling 2-3 Cuties. 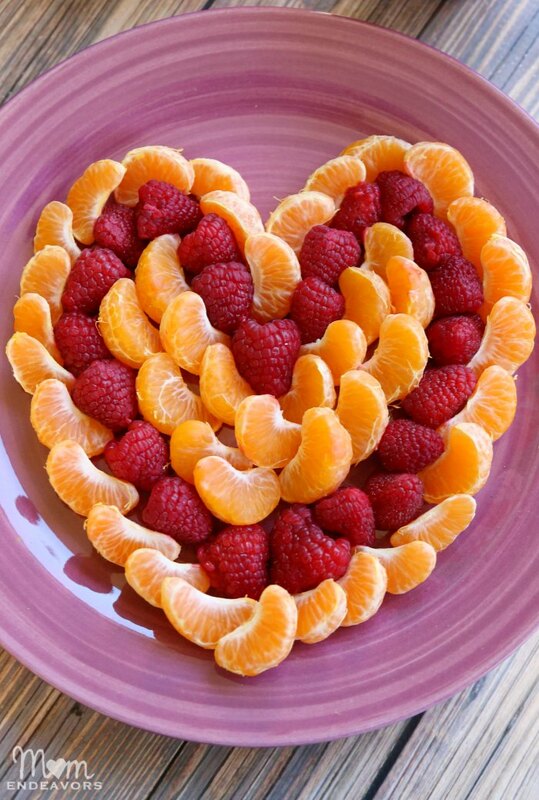 Use the segments to make a heart shape on the plate (the number of Cuties needed will depend on the size of your plate/platter). I wanted some reddish color in there too for Valentine’s Day and decided that raspberries would fit perfectly with the little mandarin segments. So, I arranged those inside the initial heart outline. Then, just fill in the rest of the space with more mandarin segments. I love how pretty it turned out! The simplicity and colors are great! My boys couldn’t wait to dive in! This fruit platter is completely wonderful as is. But, I decided to make a super simple dip to go with the fruit as a special treat! 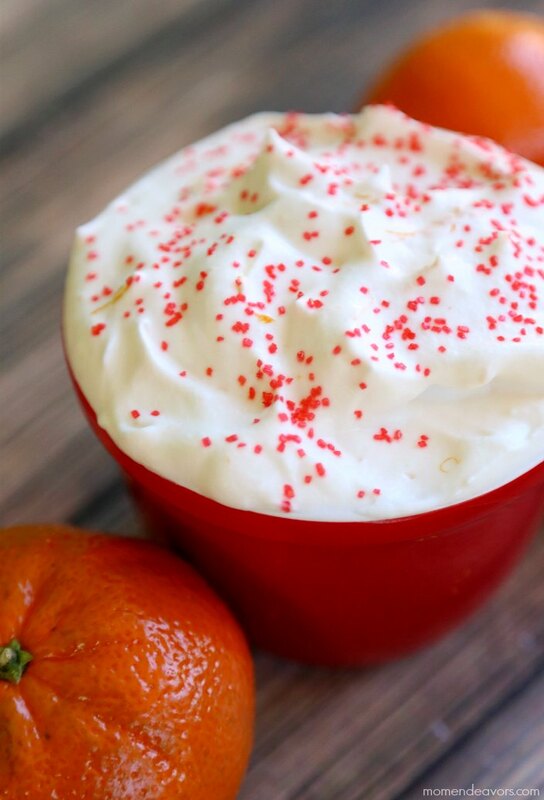 This simple homemade orange whipped cream is SO good and only has 5 ingredients!! 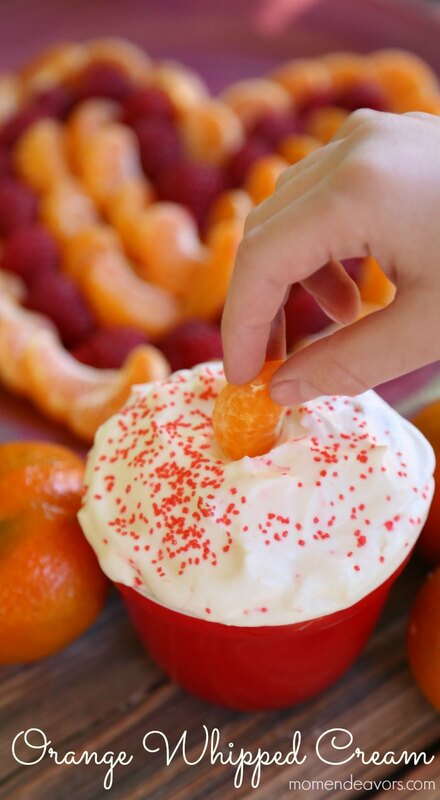 In your stand mixer or mixing bowl with a hand-held mixer, mix together 1 cup whipping cream, 2 tablespoons confectioners sugar, 1/2 teaspoon vanilla extract, zest & juice from one Cuties mandarin orange! That’s it! Just beat everything together until soft peaks form! It’s SUCH a tasty little dip. For some Valentine’s Day fun, you can add a few red sprinkles! When you dip the mandarins in, the flavors are just like an orange creamsicle. SO good!!! Would this Valentine’s treat swap be a hit at your house? MMake the pledge to swap candy for Cuties this Valentine’s Day by downloading their sweet anthem here: http://bit.ly/1SWfPRQ. Cuties announced that if they get to 10,000 song downloads the week leading up to Valentine’s Day, a city with top downloads will be taken over by Cuties, spreading sweetness and love. The takeover will be broadcasted live on Periscope, so everyone can follow along as Cuties spreads the love! And who couldn’t use more sweetness and love?!? !